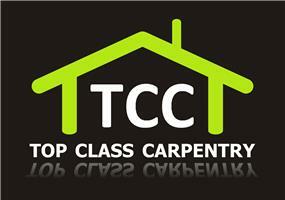 Top Class Carpentry - Bathrooms, Bedrooms, Carpenter, Kitchens based in Burton, Dorset. We are nice, friendly, cheerful and creative carpentry business team based in Bournemouth, covering all of Dorset and surrounding areas. Top Class Carpentry are an independently owned business who are in possession of over 17 years’ experience within the building industry & are pleased to offer free quotations upon request. Top Class Carpentry are fully insured and are customary in the traditional techniques of carpentry & joinery, business. With that valuable wealth of knowledge & combined with today’s modern method’s & a passion for design & customized work’s, Top Class Carpentry are able to achieve a high standard of craftsmanship. We also have a small workshop which is equipped with the machinery required to take on all your tasks. Top Class Carpentry enjoy working closely with its clients ensuring a good working relationship, tailoring their carpentry and joinery skill’s to meet all their need’s at a competitive price. Top Class Carpentry aim to deliver a first class service and to deliver the end product on time and on budget with an emphasis of being courteous and respectful of their property.